The Allegheny Health Network in Pittsburgh didn’t have to look far in 2014 to recruit one of the country’s talented young surgeons, skilled enough to offer technically advanced care for patients with peritoneal mesothelioma. Surgical oncologist Dr. Suzanne Schiffman was just across town. 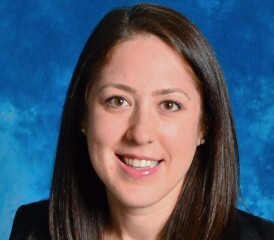 Schiffman, an expert in complex abdominal malignancies, recently completed her dual fellowships at the University of Pittsburgh Medical Center (UPMC). She served previously as chief administrative resident at the University of Louisville. She was a natural choice and another key component today in the recent resurgence of Allegheny, which is rising to national prominence as a specialty center for malignant mesothelioma. Allegheny also hired renowned thoracic surgeon and pleural mesothelioma specialist Dr. Rodney Landreneau, who had worked at UPMC for more than 20 years. Mesothelioma is the rare, aggressive cancer caused by exposure to asbestos. It is diagnosed in an estimated 3,000 Americans annually. Schiffman works with peritoneal mesothelioma, which often begins in the lining of the abdomen. It accounts for approximately 15 percent of all mesothelioma cases. There is no cure. It typically comes with a grim prognosis, but there are treatments today at a handful of specialty centers, such as Allegheny, that can extend lives significantly. Schiffman utilizes the combination of cytoreductive surgery and Hyperthermic Intraperitoneal Chemotherapy (HIPEC) at the Allegheny Health Network, expanding the treatment options for various abdominal cancers. This procedure is only offered at select hospitals across the country. The cytoreductive surgery removes all visible signs of cancer, and the HIPEC kills any remaining microscopic cancer cells. It is delivered directly into the abdominal cavity after surgery, which reduces the often brutal side effects of systemic chemotherapy. Heating intensifies the efficacy of the chemotherapy. While the HIPEC portion takes an estimated 90 minutes, the entire procedure can take anywhere between 6-12 hours, depending on the extent of the tumor cell involvement. The surgeon drains the solution before closing the incision. Schiffman, 35, is one of the younger surgical oncologists in the country. She came to Allegheny Health Network with intensive training in general surgical oncology and hepatobiliary surgery, which consists of cancers involving the liver, gallbladder, pancreas and bile duct. Despite her young age, Schiffman already has earned the respect of peers and many patients with abdominal cancers. Her training, experience and confidence have enabled her to impart trust to her patients. In addition to Schiffman and Landreneau, Allegheny also added Dr. Blair Jobe in 2013 as director of its Esophageal and Lung Institute, a multidisciplinary and comprehensive clinical and research program. Schiffman also does minimally invasive surgical techniques for malignant and benign gastrointestinal diseases.